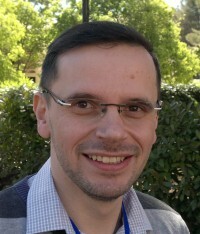 Dr. Attila Gacseris an Associate Professor at the Department of Microbiology, University of Szeged, Hungary where he is the Head of the EMBO-Candida Research Group and he is also a Visiting Professor at the Federal University of Rio de Janeiro in Brazil. Dr. Gácser gained his PhD at University of Szeged working on Cryptococcus hungaricus. During his first post-doctoral training at the University of Hamburg, Germany as a Marie Curie Fellow, he studied the opportunistic human fungal pathogen Candida species. In 2005 he joined to Prof. Josh Nosanchuk laboratory at Einstein College of Medicine in New York. During his 3 years stay he investigated the virulence and pathogenesis of several different fungal pathogens such as Histoplasma capsulatum, Cryptococcus neoformans and Candida parapsilosis. Since 2008, he returned to Hungary with the support of the EMBO Installation Grant. Current research in his laboratory focuses on the development of tools for genetic manipulation of C. parapsilosis and the study of Candida virulence and pathogenesis, host response and immunology of fungal infections. 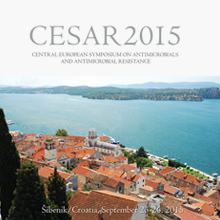 You are also invited to participate in "CESAR 2015" which will also take place in Šibenik immediately after the symposium.